*** OPEN HOUSE CANCELLED*** Welcome home! 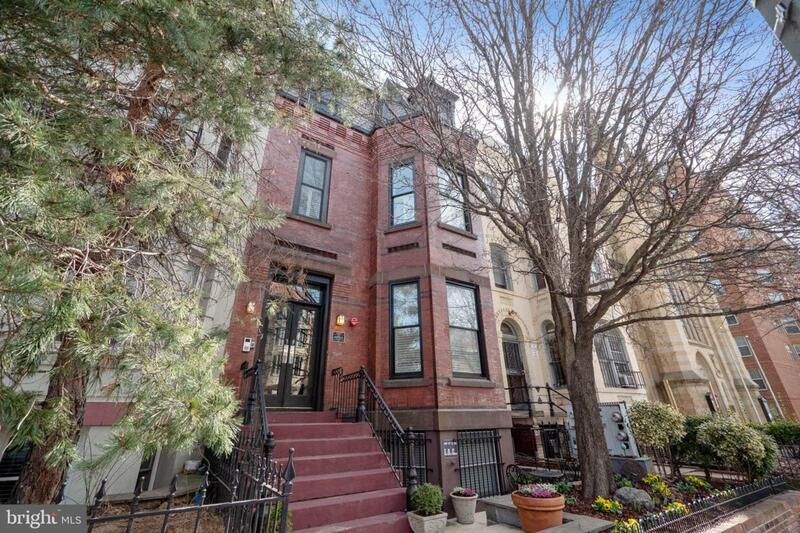 Desirable renovated brownstone in the heart of DC, ideally situated between Logan Circle and DuPont Circle. Private/secure parking garage space at the rear of the home. 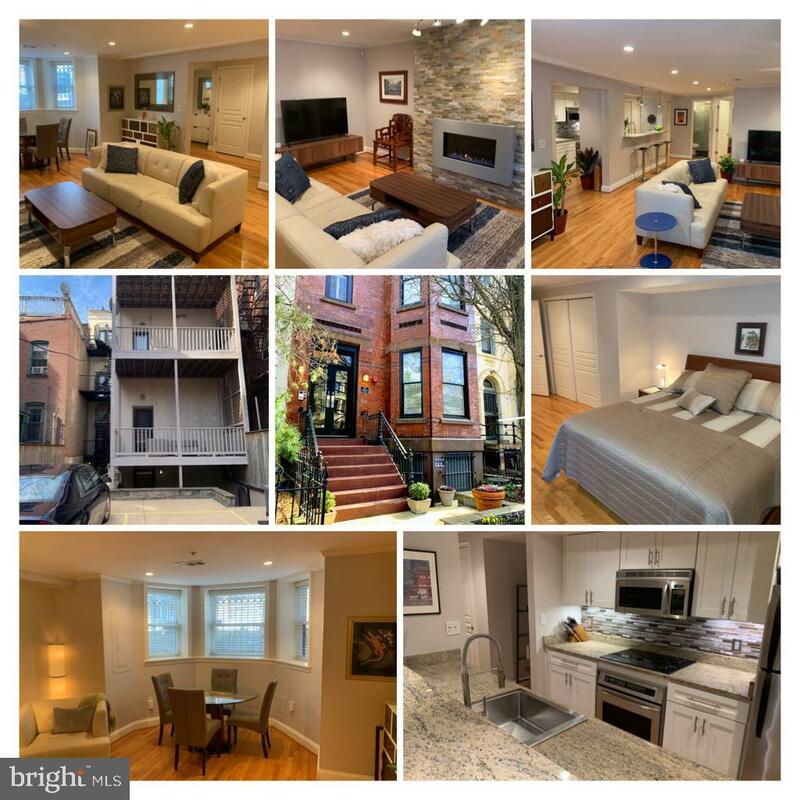 Renovated in 2019 - including the kitchen and bathrooms, fresh paint throughout, upgraded lighting figures and recessed lighting, upgraded fire alarm, sprinkler system, and new custom stone fireplace surround. Bright and open floorplan allow for easy flow between spaces in the home. Inviting entryway draws you into this home that is just shy of 1,200 square feet. The open remodeled kitchen features tons of counter space and cabinet space with granite and stainless steel appliances, modern cooktop and oversized sink. The extra counter top and bar stools provide additional seating The dining room space mirrors to exterior architectural style of the townhome and provides a cozy space for the dining room table in the bay window area at the front of the home. The custom stone fireplace surround becomes the main focus of the living room with additional space for seating and cable connection for the media and entertainment. Modern renovated baths feature sliding glass doors and custom tilework. Two spacious bedrooms are perfectly tucked in the back of the home ~ each has its own private entrance from the detached garage area at the back of the townhome. The owner~s suite features a private covered patio and access to the garage space and the guest room features private access to secure storage as well as access to the garage space. 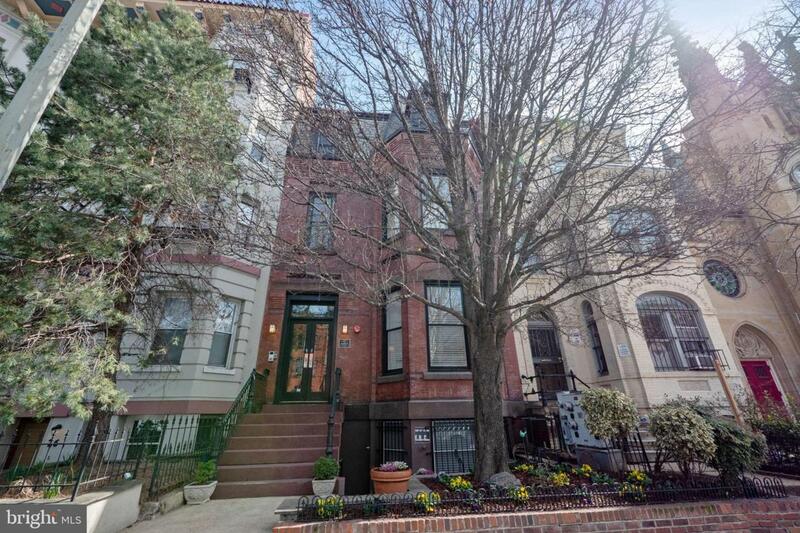 Location, location, location - 1 block away from shopping and dining on P Street - Commissary DC, Logan Tavern, Whole Foods, fitness gym, banking, coffee shops, etc. 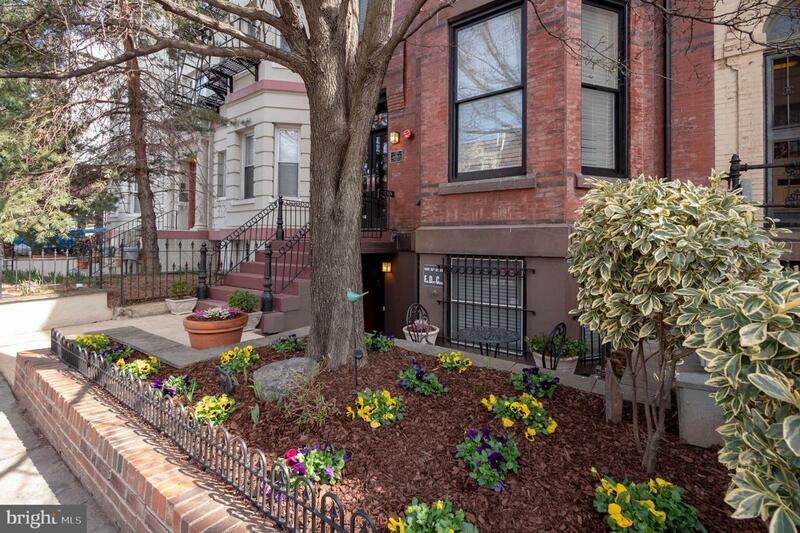 Blocks to Metro Stations - DuPont Circle, McPherson and metro bus stops. Listing courtesy of Exit Advantage Realty.